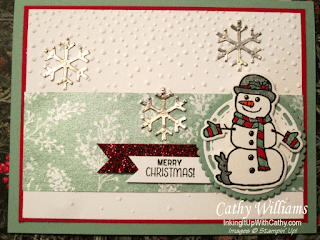 This is another card that was inspired by a demonstrator on Demonstrator Planning Place but unfortunately she didn't have a watermark on her card so I can give full credit. Have you ordered the Frosted Floral Specialty Designer Series Paper? It is so gorgeous! The shimmer on the patterns is amazing. 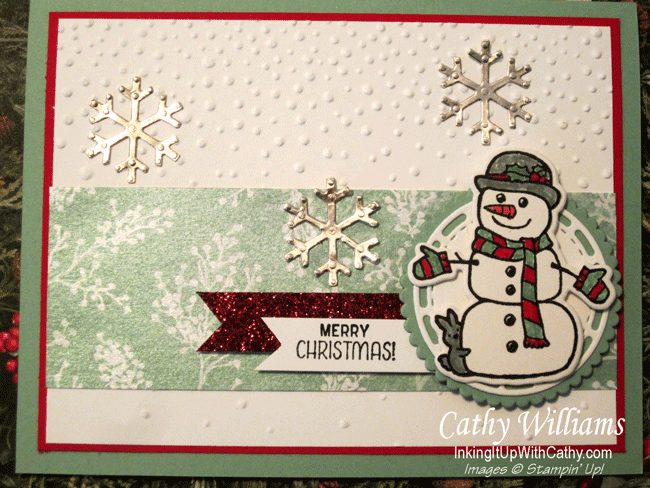 For this card I went back to a stamp set that was first offered last year - Seasonal Chums. This is such a versatile set as you can make them into little tags or just stamp one half of the stamp and get either the front or back of the images. Santa's Checking His List....Does He Have Yours?